I’m sure that you’ve heard this before, but it bears repeating: when you’re getting your financial house in order, your first step should be to build up an emergency fund. An emergency fund helps you get through financial rough patches in your life — broken washing machines, unexpected medical bills, and the like — without derailing the rest of your financial plan. The keys are to have this fund built up before disaster strikes and to save it for true emergencies. Here, we’ll talk about how much to save in an emergency fund, how to save it, and when it’s okay to dip into those funds. We’ll also talk about emergency fund alternatives, including a home equity line of credit. Your emergency fund goal will depend on your individual circumstances. Most financial gurus suggest an emergency fund that will cover three to six months of living expenses, though some are comfortable with less and others recommend more. Still others, such as Dave Ramsey, suggest a tiered approach where you initially set aside $1,000 and then build up a larger emergency fund after eliminating your debts. If you have other serious financial goals, such as getting out of high-interest debt, the last option may fit your needs best. With that said, your initial emergency fund may need to be smaller or larger, depending on your circumstances. Learn More: Where Should I Keep My Emergency Fund? For instance, if you have a family and know that medical emergencies could be more likely to arise, you may need a larger initial emergency fund. If you make more than you spend nearly every month, though, you could divert some of your extra funds to paying for emergencies. So a smaller emergency fund, like $500, could set you up. What if you’re already out of debt or, at least, don’t have any debts with super-high interest? In this case, you’ll need to decide whether it’s more important to pay off your remaining debts or save more in your emergency fund. This will depend on your individual financial goals, and your tolerance for risk. The likelihood that you’ll lose your job. If it’s more likely, save more money. You family’s earning potential. If you’re a two-income family, you may be able to get by with a smaller emergency fund. With one income, you’ll want to save more. Demand in your job field. If you work in a high-demand area where getting re-hired would be simple, you may be able to have a smaller emergency fund. If finding a new job would take a while, build up more. Potential large expenses that you could incur. If you’re a renter, for instance, you may get by with a smaller emergency fund because you won’t have to do any unexpected home repairs. Those are your landlord’s job. But homeowners need larger emergency funds to deal with potential housing problems. As you can see, figuring out how much you need to save for emergencies can be difficult. When in doubt, though, you can always start on the low end of three months’ worth of expenses, and then work your way up if you feel like you need more. How Do You Calculate Your Expenses? One thing to remember, though, is that when we talk about an emergency fund, we’re talking about your expenses, not your budget. Your budget should include things like dining out, traveling, family vacations, clothing, fun activities, home improvements, and more. Your actual expenses, though, don’t necessarily include these things. 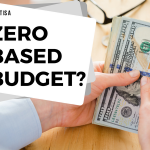 Look at your budget, and figure out how much those things honestly cost you on a monthly basis. That’s your one-month emergency fund goal. So if a month’s worth of expenses for you is $2,500, a three-month emergency fund would be $7,500. 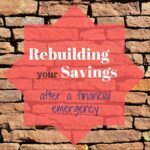 How Do You Rebuild Your Emergency Fund After an Unexpected Expense? How should you build an emergency fund? 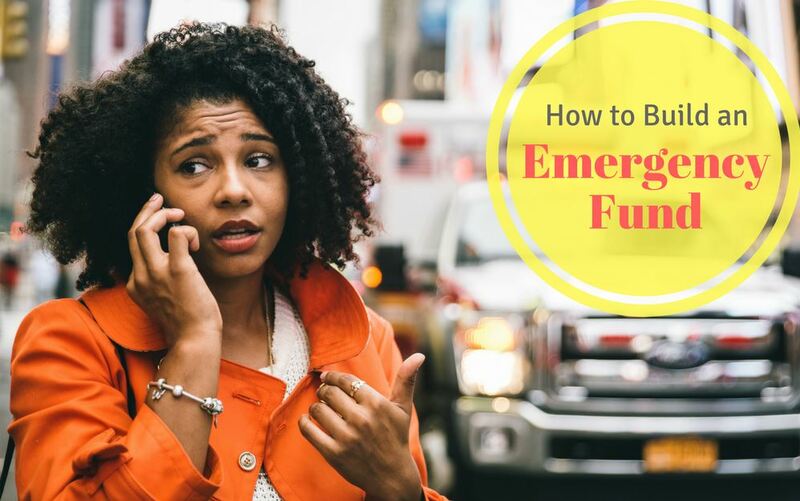 Even though deciding on your emergency fund goal can be a bit confusing, the really hard part is actually building up that emergency fund. How do you decide between competing financial goals to save money for your emergency fund? Or where do you get that money from if you’re already living paycheck to paycheck? For one thing, you should know that it takes time to come up with the money for your emergency fund. It may take you several months or even a year or more, even if you’re disciplined at saving. Several months’ worth of expenses is a lot of money, after all! But this is definitely a worthwhile financial goal. In fact, having an emergency fund in place can help you more quickly meet other financial goals, like investing or starting a business. Knowing you have some cash padding helps you be more comfortable taking risks, which are essential for growing both personally and financially. Build it into your budget. You may have heard of the “pay yourself first” principle. Look at your budget, and decide how much you can afford to put towards your emergency fund each month. Then, set up an automatic transfer to put that amount into a separate savings account each time you get paid. If you never have access to that cash, you’re much less likely to spend it frivolously! Put windfalls into your fund. When you receive a gift of cash or an unexpected inheritance, consider putting that money right into your emergency fund. This is an excellent way to reach your goal more quickly, without the pain of trimming your budget. Stick your tax rebate into savings. Many Americans choose to use their tax refunds to pay for vacation, but you could be smart and save yours, instead. Transfer at least most of the balance into a savings account, and you’ll have an excellent start on your emergency fund. Trim a specific expense. Think of one unnecessary expense you have, like picking up coffee each day instead of making it at home, or dining out. Commit to giving up that expense for a few months, and instead put what you would have spent into your savings account. Use the one and done method. Alternatively, find ways to trim bigger bills, like your mortgage or cable bill. When you cut back on these expenses, put the money you’ve saved straight into your emergency fund. How Will You Spend Your Emergency Fund? One of the most difficult things to establish when thinking about an emergency fund is how you’ll actually spend it. What, exactly, constitutes an emergency? An emergency is not . . .
A broken TV or other entertainment device. Your TV breaking can seem like an emergency, but it’s not worth dipping into your emergency fund for. Instead, when your TV or computer (that you don’t need for money-making work) breaks, start saving up to get a new one. In the meantime, find other ways to entertain yourself. Lack of planning. So, you forgot to account for all of your auto-paid bills, and you can’t grocery shop this weekend without overdrafting your account? It’s time to dig into the pantry and figure out how to eat for next to nothing while you wait for your next paycheck. It’s not time to tap your emergency fund. Your washing machine breaks. This may or may not constitute an emergency. If you’re in an area with no laundromats and you can’t take your laundry to a friend’s or family member’s house, you may need to fix the machine ASAP. But if you have other options for doing your wash, consider using them while you save up to fix the machine. An emergency is . . .
You lose your job. This one’s a true emergency. If you lose your job, strip your budget to the bare essentials, and cover spending with your emergency fund while you look for a new one. Your car breaks down. This one is a little like the washing machine, but it’s more likely to be an emergency. If you depend on your car to get to work, tap the emergency fund to cover repairs so you don’t lose your job. However, if there’s public transportation in your area, consider sucking it up and using that, even though it’s less convenient. Your roof is leaking or furnace breaks. Some household issues are true emergencies, especially if they’re safety hazards or will become more expensive and difficult to fix if left alone. Use your emergency funds to pay for these types of repairs. You have a medical or dental emergency. You should definitely pay for medical or dental emergencies, but be sure you budget to cover annual exams and dental cleanings to make these things less likely. What are Some Other Emergency Fund Options? Interest-free credit card. If you have good credit, you may be able to access a credit card with a 0% interest introductory fee. This can be a good emergency fund, temporarily. Just be aware that applying for and receiving the card will take some time. And you’ll want to repay the balance as quickly as possible. Home equity line of credit. HELOCs still have historically low rates, so you could leave one open while you’re paying off high-interest debt to act as an emergency fund. It’s there if you need it, but you don’t have to use it. Just keep in mind that your home is acting as security in this case, so be sure you handle this debt extra responsibly. Personal loan. Taking out a personal loan can come with high interest unless you have excellent credit. But it can be a way to access quick cash when you need it. Again, though, you’ll want to pay off this debt as quickly as possible after taking it out. Be sure that if you use one of these other options, you only do it in the absolute most necessary emergencies. Your criteria for tapping into debt should be even stricter than your criteria for spending regular emergency savings. That’s because once you tap into the debt, you not only have to save up for your emergency fund, still, but you also have to pay back the debt. An emergency fund is definitely an essential piece of a financially responsible life. How will you start saving yours? An emergency fund is a really important reason to start saving money into a separate bank account. 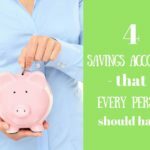 You should actually have a couple of secondary accounts so that you can put money aside for different reasons. Long, short and mid term goals are easier met that way. Great article!!! Completely agreed with the information!!! An emergency fund should be easy to use in the event of unemployment, or a major unplanned expense. I started my emergency fund with $1,000 and did save four months expenses as per goal. It really helps in money crises so I would suggest everyone to start saving emergency funds. 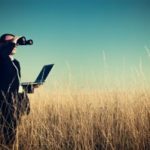 Setting up an automatic transfer to a separate account (out of sight!) is an easy way to let it build. One can start with a small amount and increase it as more debts are paid off; however, not saving anything for long-term emergency can be a tragedy. From very early on I have set aside money every month for my monthly expenses. When I was out from work for over a year, it served me well. Now that I am married and purchased my first home, my husband and I set aside every month for future payments, we don’t actually make the payments, we just keep the money in a money market acccount but it’s tagged for bills and is not used. We don’t count it as what we have because we think of it as already spent. My husband never did this before we were married and is surpised to see that it really does work and the savings do build up. Our goal is twelve months of emergency fund savings. At this point we have about four months. We also pay extra money toward the principal of our mortgage. Should an emergency really happen that would free up some extra money as well. It’s a great relief to not have to worry about meeting our expenses every months should something catastrophic come to pass. I can tell by reading articles and blogs on emergency money that most people underestimate how long it takes to find a new job in a recession. I have a friend who got laid off in May of 2009. Today, Jan 2010, my friend is still looking for a job very aggressively. All credit cards have been exhausted just keeping up with her mortgage all these months. She has managed to keep from losing her house because she only has 6 years left to finish, but now she fears that she will lose her house. Can you imagine being 6 years away from finishing paying your house and losing it? Most people don’t have enough emergency money to cover an extended jobless period. I read things like $1,000, 3 months, 6 months. No, the answer is more like at least 12 months. Hey Nickel, I like your tip on putting a tax refund towards an emergency fund. Great read, overall. I recently wrote a piece about emergency funds at RBCp2p – a blog for students by students – and linked to this entry of yours. Itâ€™s very crucial to have an emergency fund and the sooner we start saving for it the better it is. But what I feel is at a crisis all funds that we have turn into emergency funds. During bad times all we need is money no matter from which fund it comes. KC: Actually my wife is MUCH more financially aggressive than I am. The traditional role reversal goes a lot further than that believe it or not! Also, I lived through a job loss in the past and you should make sure you indeed can and will be able to quickly cut expenses in the event of such a loss. For example, we use a credit card for all possible expenditures and pay it off each month. We are essentially paying for last month’s expenses out of this month’s cash flow. If you lose your job this month, you could end up having to pay last month’s (presumably normal/higher) expenses on the reduced income. I HIGHLY recommend that you base at least the first jobless month’s expenses on your normal spend level, not a cut-back emergency level. Emily: I will post shortly on my own blog (www.huntinghappiness.com) some intimate financial details which may help to change your mind. We are very fortunate in our financial situation. Our current cash on hand is over $100K. I actually haven’t tallied up available credit on cards but it is at least $90K, plus probably another $100K of tappable home equity covering two properties. I think the point I’m trying to make is that $100K+ cash has a real return of 0%. Using it to pay down the mortgage is pretty much a guaranteed 4-6% real rate. Investing in another rental is higher risk but substantially higher potential reward. We would still have available credit cards to cover several years worth of expenses, and that is assuming we both lost our jobs. Now on the flip side there is something very comforting about knowing either one of us could walk out tomorrow and go for a long time before incurring any debt. I completely agree — merely having several thousands on a credit line is not sufficient. It’s vital to have several thousand cash (yeah, cash, remember that stuff? stowed in an account for anything that may arise. Even if you still need to use some credit to cover the very end, that’s fine. But people who think a credit line is an emergency fund are doomed. The savings rate in America is pathetic — somewhere between -.5% and 2%. Thanks for this post! I wish more people would get with it and save. Do you really need that Starbuck’s frappuchino? No! We started with an emergency fund of $1,00o; however, it was quickly depleted when my husband had an irregular month of work. Out goal is to have three months’ expenses saved and I suggest others who are self-employed also aim for a baby emergency fund of at least a month expenses’ if possible. All of my emergency fund (about 2 mos. living expenses at our current expenditure) is in a money market. The rest of our emergency fund (about another months worth of living expenses) is in boring dividend-paying stocks. I know everyone will slap me on the hand and say “bad”. But here is my reasoning. I have 2 months of current expenses in cash – but if one or both of us loses our source of income we will cut our current expenses down – so that 2 months will last at least 2.5-3 months. In the mean time we would be able to withdraw any money needed from stocks (although the timing of the sale might not be ideal) to supplement our income. However the only reason I’m willing to be this risky with an emergency fund is that our jobs and income are very secure and we have sizeable savings above our emergency fund. I would not recommend anything but a money market or savings account for emergency funds involving people who have unstable incomes or don’t have job security (self-employed, contractors, etc). Those folks need to be quite conservative with their emergency fund and keep it very liquid. To SomeGuy above – I can certainly realize your desire to put some of that emergency fund money to work, especially with interest rates so low. But take a look at your entire financial picture and talk to your wife about it. She needs to be comfortable with that move and women tend to be more conservative – they like a nest egg in the bank. But you both need to agree to it and it needs to be part of the bigger overall financial picture. Having an emergency fund is absolutely critical. I think it’s great how often it’s mentioned on the various PF blogs. It also provides an amazing amount of security/lack of stress knowing that there is padding. Nickel, do you have any reassessment of the best way to “store” the emergency fund? With many money market rates down to around 3%, one is barely holding steady with inflation (ie, the real interest rate is 0%). Ours is still in a MM account but I am tempted to get more creative. One option is to dump the cash into one of our mortgages (primary residence, rental #1, or perhaps start rental #2) and then open a HELOC. Or simply dump the cash into the market and open a HELOC based off the existing equity. Obviously HELOC rates are variable and aren’t great but that would only matter in the event of a serious financial emergency. Otherwise the 4-6% interest costs avoided would outweigh the 3% the MM yields. This is a good post. Everyone should have an emergency fund that they can use instead of their credit card. Most people use their cards because they don’t have an emergency fund. So instead of receiving interest on their emergency fund, they are paying interest in their cards, unless of course they pay it off every month. And less than 30% pay off their cards every month. That makes a huge difference in a household budget.